Normal series since 1992. 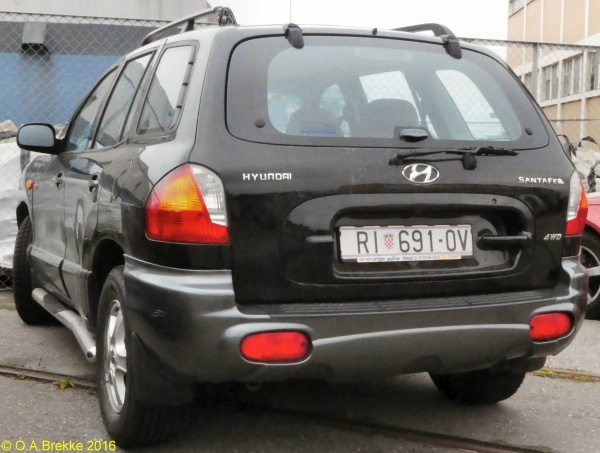 1992-2016 plate style. 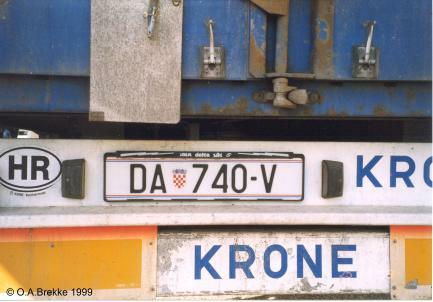 DA = Daruvar. Normal series since 1992. 1992-2016 plate style. 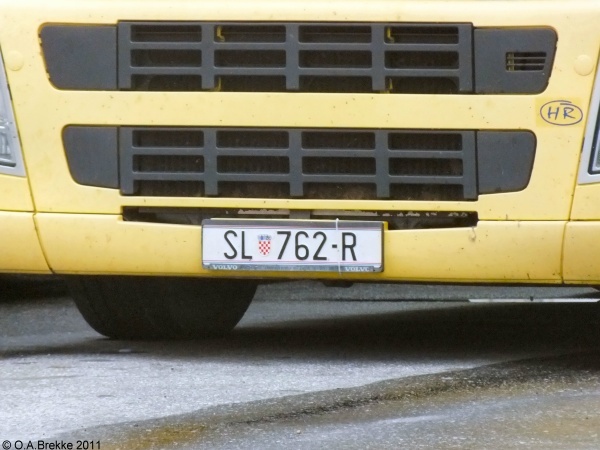 SL = Slatina (since 1993). Normal series since 1992. 1992-2016 plate style. Originally with only one serial letter, but that was soon exhausted in larger provinces. PU = Pula. Normal series since 1992. 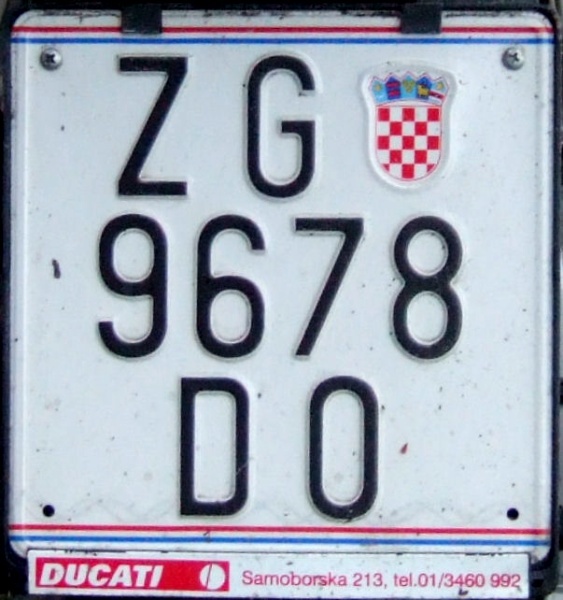 1992-2016 plate style. Originally with only one serial letter, but that was soon exhausted in larger provinces. PŽ = Požega. Normal series since 1992. 1992-2016 plate style. Originally with only one serial letter, but that was soon exhausted in larger provinces. 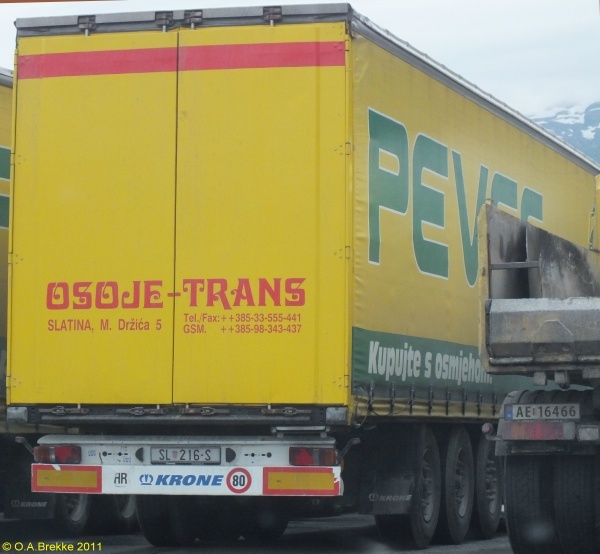 RI = Rijeka. Normal series since 1992. 1992-2016 plate style. Originally with only one serial letter, but that was soon exhausted in larger provinces. 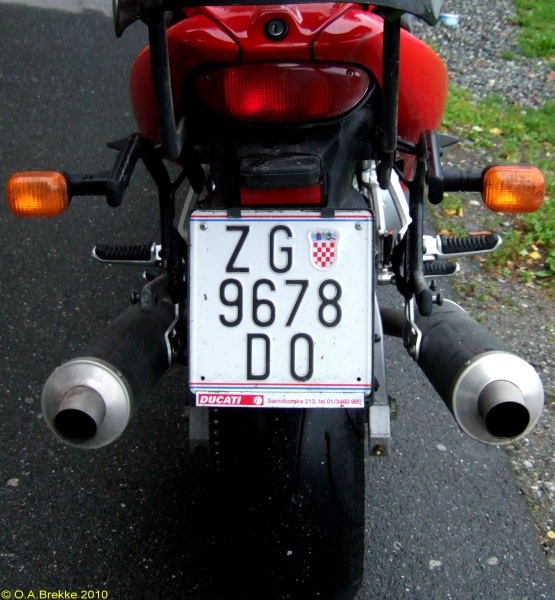 ZD = Zadar. Normal series since 1992. 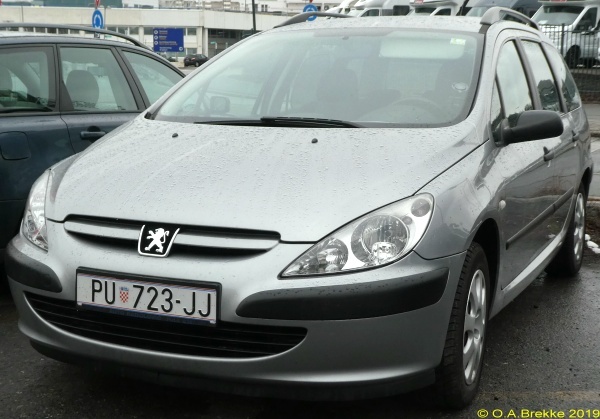 1992-2016 plate style. Originally with only one serial letter, but that was soon exhausted in larger provinces. 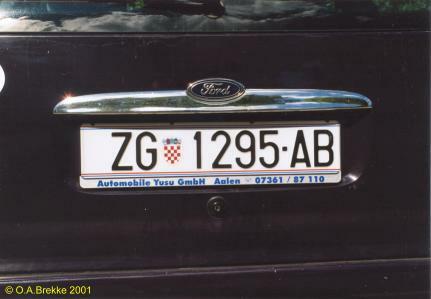 ZG = Zagreb. This shows the use of serial letters OO. Normal series since 1992. 1992-2016 plate style. Originally with only one serial letter, but that was soon exhausted in larger provinces. 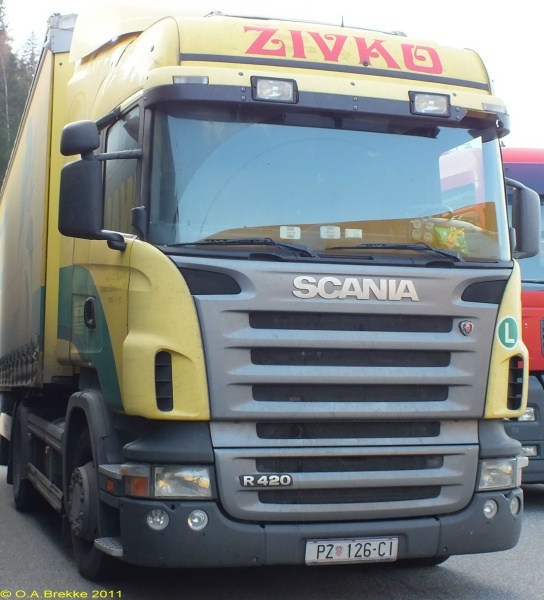 ZG = Zagreb. Normal series since 1992. 1992-2016 plate style. 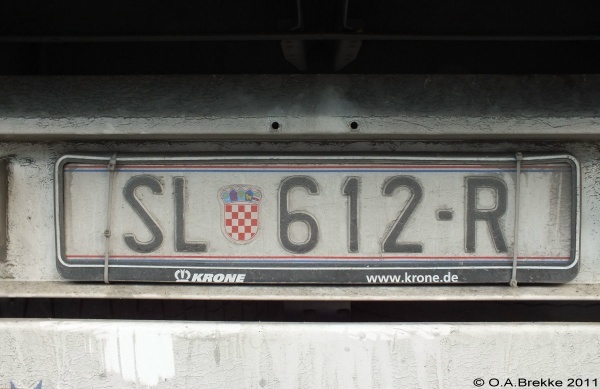 Four numerals and two letters, first in Zagreb, since 2001. ZG = Zagreb. 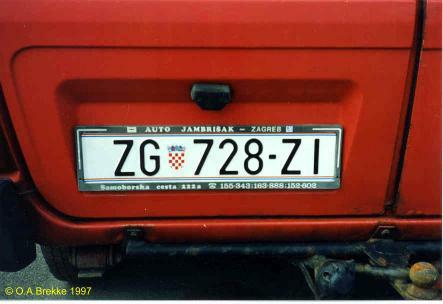 Personalized plate within the normal series since 1992. 1992-2016 plate style. 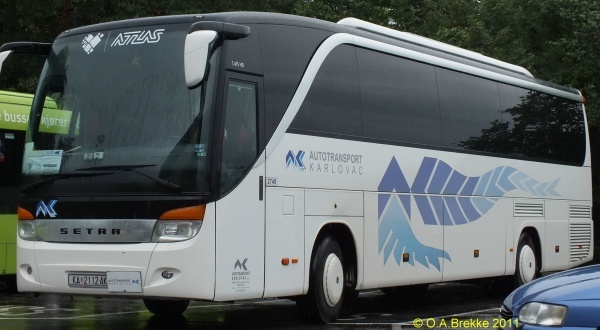 KA = Karlovac. Normal series since 1992. 1992-2016 plate style. Motorcycle. 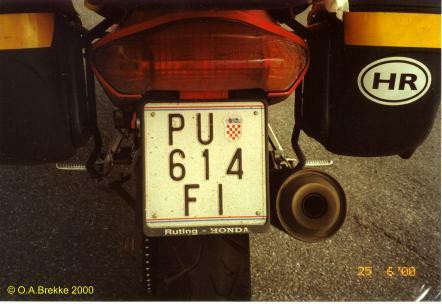 PU = Pula. Normal series since 1992. 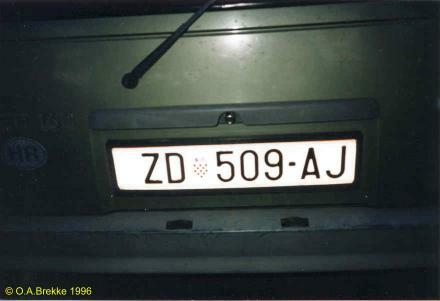 1992-2016 plate style. 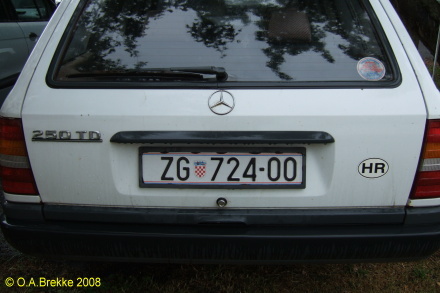 Four numerals and two letters, first in Zagreb, since 2001. Motorcycle. ZG = Zagreb.